Summer is the best time to learn some new skills or enhance existing ones without any pressure. The variety of summer camps in Toronto and surrounding areas is enormous. Sometimes it is difficult to choose what your child would love to do during hot summer days. Since starting playing Minecraft Teddy asked to send him to coding camp to learn commands and other things. At the age of 7 he perhaps does not understand completely the concept of the game but what he know for sure - it is not just a game, it is the way to learn, create and solve. We all know that the future of our world is digital. Decades ago programming belonged the narrow niche of engineers and was not very wide-spread. These days digital world appears in our everyday life almost everywhere, that's why it is important to provide a child with a rich foundation in critical thinking and problem solving skills that will be so valuable for success in his or her future world. Children are growing up in a very different world than their parents. Digital devices, computers, Youtube, Netflix, various apps and Facebook are now embedded in their daily lives. Every project he finishes, Hatch library has over 600+ projects pieces and growing up, makes him proud and Teddy wants to move forward. 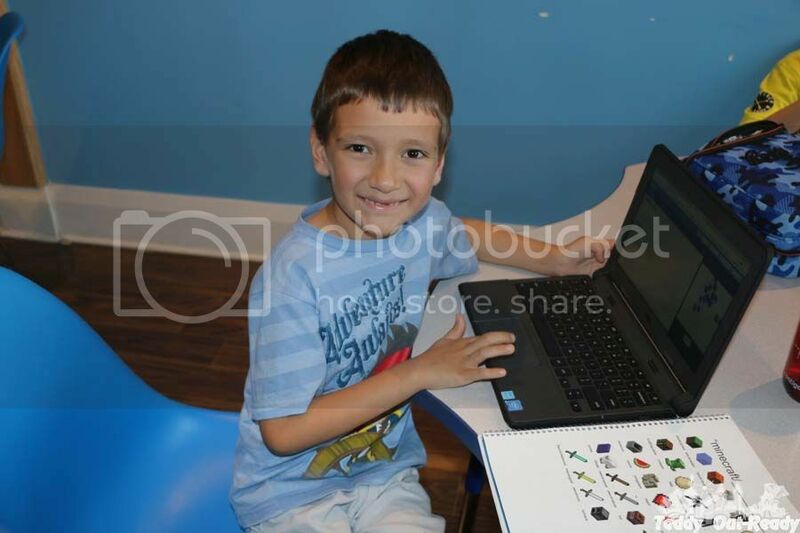 From rotating objects to writing codes, Teddy had great experience at Hatch summer camp. 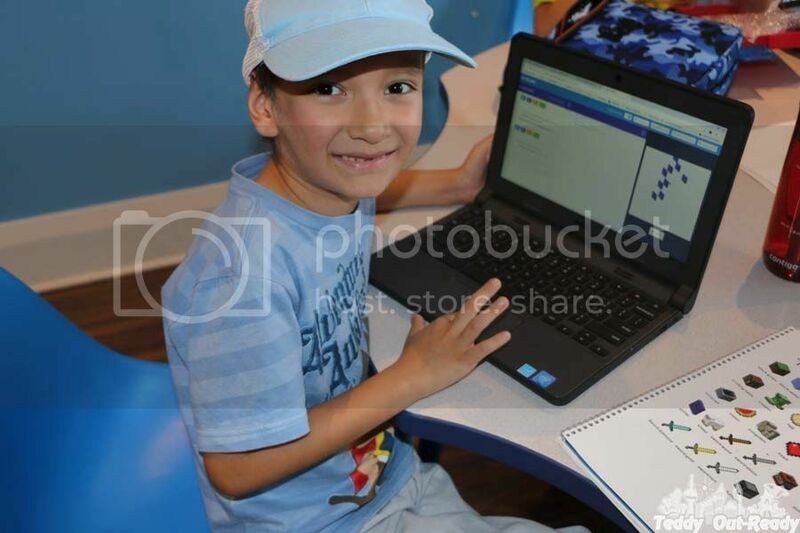 He wants to continue building more items using various programming languages, he now has an idea of variables, arrays and loops after attending just one week of coding camp. His projects were in Java Script and was a combination from various games like Minecraft, Star Wars and Pokémon. Hatch’s educational platform is designed around the principles of self-paced and mastery-based learning to encourage children to challenge themselves. And I agree with that, Teddy learned everything what he really liked and based on his level, gradually moving on. One thing is to know how to play games, use technologies and digital devices. And absolutely another is to understand the logic behind them. When learning programming, children understand how the digital world works. Coding shows them the magic of technology so they can truly understand the logic and science that controls this technology and how they can control it too. In order to obtain as much hands-on coaching as possible, Hatch Canada provides one instructor for each 6 students. Their programs are HST-exempt due to a positive ruling from the Ontario government, which believes in Hatch’s educational value. Novice or advanced student, Hatch designed programs for every level so kids gets projects according to his or her level with constant growth under dedicated coach's guidance. For example, Teddy was new to coding and he learned everything according to his level. He also met other campers who are older and more knowledgeable about programming and they gladly shared their experiences and offered some tips. Every Friday students have a field trip to companies like Facebook, Google and others to see in real life how all the tech magic is created and get hands-on experience from tech professionals. 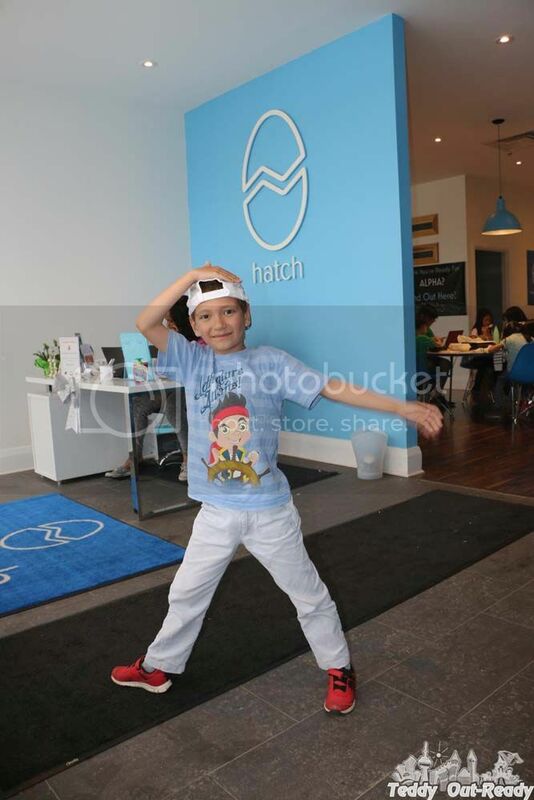 Kids must be able to not only passively consume technology, but also to understand and control it, becoming an active part of this huge digital world and Hatch Canada is here to help. Hatch's fun and interactive program combines learning experience and creativity challenges. This summer Hatch Canada offers full day and half day camps in Coding, Alpha and Space/robotics at 3 locations: Toronto, Richmond Hill and Oakville. We are excited to partner with Hatch Canada and offer a discount code teddyoutready ($50 off) to our followers so they they can join one of Hatch's summer camps for their kids and help them learn great skills. The code is valid until: 2017-08-27 for registration. We are happy to giveaway a free half-day camp one week camp (value $430), thanks to Hatch Canada, at one of three locations, winner's choice. For your chance simply fill the Rafflecopter form below and Good Luck! The giveaway is open to Canadian readers who can attend Hatch Canada camps. Ends August 5,2017!